Wedding bells are finally in the air for Prince Harry of Wales and Meghan Markle after much anticipation. A statement released by Clarence House on Monday morning in London announced that Prince Harry had informed the Queen, as well as other close family members, that the wedding will take place in the spring 2018. The Prince described the proposal as “an amazing surprise” to Meghan. The engagement ring features a gold band and square-cut diamond from Botswana in the centre, flanked by two others that once belonged to Princess Diana’s personal jewellery collection. Prince Harry sourced the diamond from southern Africa, designed it himself and secretly commissioned it to be made by Cleave and Company, Court Jewellers and Medallists to the Queen, and was consulted on every aspect of its creation. When asked about the engagement ring, Harry said, “the ring is obviously yellow gold because that’s Meghan’s favourite and the main stone itself I sourced from Botswana. The little diamonds [on] either side are from my mother’s jewellery collection to make sure that she’s with us on this crazy journey together”. Royal-watchers are still waiting for Kensington Palace to confirm the date of Prince Harry’s wedding to Meghan Markle. The wedding is unlikely to take place in April, which is when the Duchess of Cambridge is expecting her baby. Experts think it is more likely to be in March or in May after the third Cambridge sibling has been born. The most traditional site for Royal weddings has been the Chapel Royal at St James Palace where five monarchs—including Queen Victoria—tied the knot, though it is speculated that Westminster Abbey will likely to be the venue for the spring 2018 wedding. Although the couple will need a special wedding license from the Archbishop of Canterbury if they wish to marry in a church (Meghan has previously been divorced), Westminster Abbey officials have already indicated her divorce will not be an issue if she weds Prince Harry in a church. Other potential venues include St Paul’s Cathedral, which hosted the wedding of Prince Charles and Lady Diana Spencer in 1981, and St George’s Chapel at Windsor Castle. Traditionally, we won't know who's attending the wedding until the big day. But the guest list for the high-profile couple’s wedding will surely be a star-studded one. Meghan’s close friends, including actress Janina Gavankar, Miss World Priyanka Chopra, stylist Jessica Mulroney, British reality TV star Mille Mackintosh and tennis superstar Serena Williams, all stand a chance of being invited. Meghan is also reportedly close with Sophie Trudeau, wife of Canadian Prime Minister Justin Trudeau, and she has a good relationship with Barack and Michelle Obama. It is speculated the Queen may not be able to witness the nuptials first-hand. As the head of the Church of England, Queen Elizabeth may not be in a position to support the second marriage of a divorcee. The Queen did not attend the ceremony when Prince Charles married Camilla Parker-Bowles in 2005, so there is little reason why the Queen would break the rules while still holding the position of the Supreme Governor of the Church. The newlyweds are tipped to become the Duke and Duchess of Sussex. The title Duke of Sussex has only been used once before by Prince Augustus in the early 1800s. Other dukedom titles currently not in use are Clarence and Buckingham, though Clarence is considered unlikely as the previous Duke of Clarence, Queen Victoria’s grandson Prince Albert Victor, was a suspect in the Jack the Ripper murders. The couple announced that they would live in Nottingham Cottage on the grounds of Kensington Palace, where Prince William and the Duchess of Cambridge live. The self-contained two-bedroom home is about 1,300 square feet, and has been a bachelor pad for Prince Harry for several years now. Before his arrival, Prince William and Kate Middleton lived in the cottage before they were married in 2011. Previous residents also include Prince Philip’s private secretary and his wife, and Princess Diana’s sister Lady Jane Fellowes with her husband Sir Robert Fellowes. A typical royal wedding would go something like this: the eligible prince plucks his lady love from obscurity, showering her with publicity, and making her a princess bride. Meghan, who from the US and biracial, might not be royalty but she is already famous in her own right as the star of the drama series Suits. 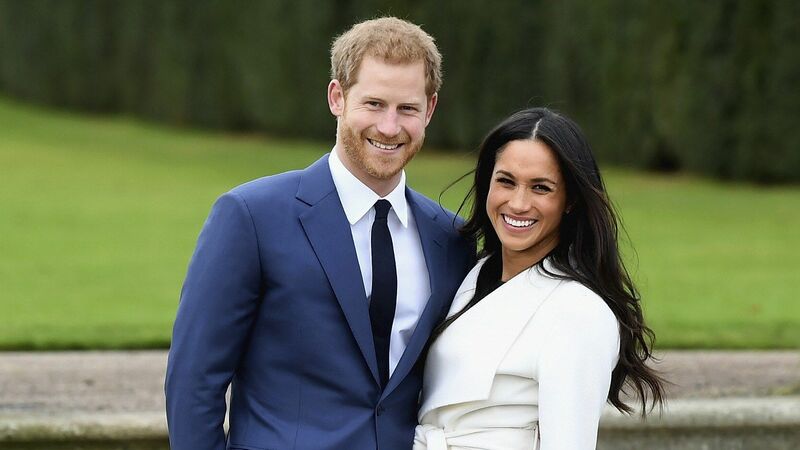 Harry’s choice of an independently wealthy-American-celebrity-divorcee signals that the royal family is ready to modernise as they allow Prince Harry follow his heart rather than royal tradition and convention.